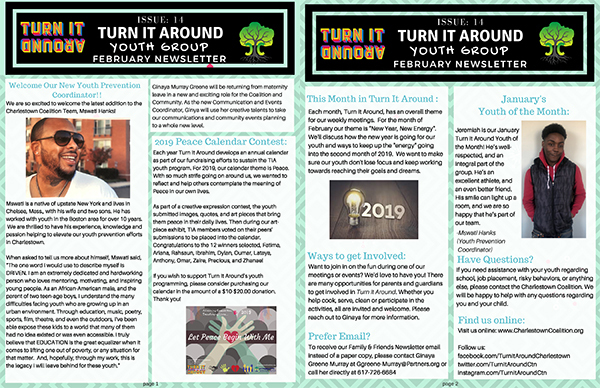 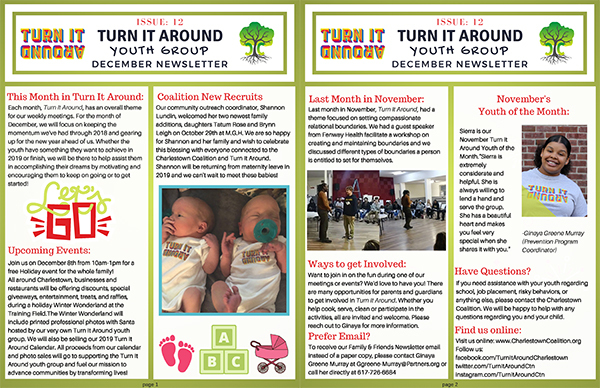 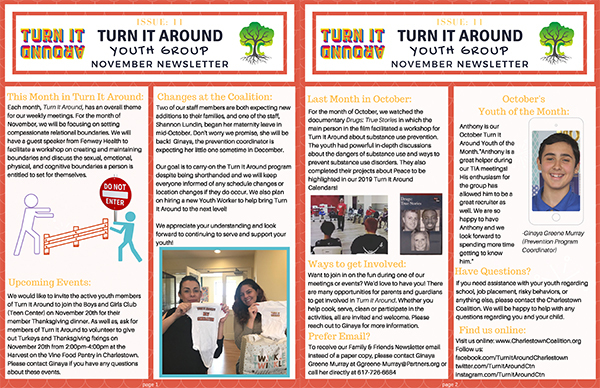 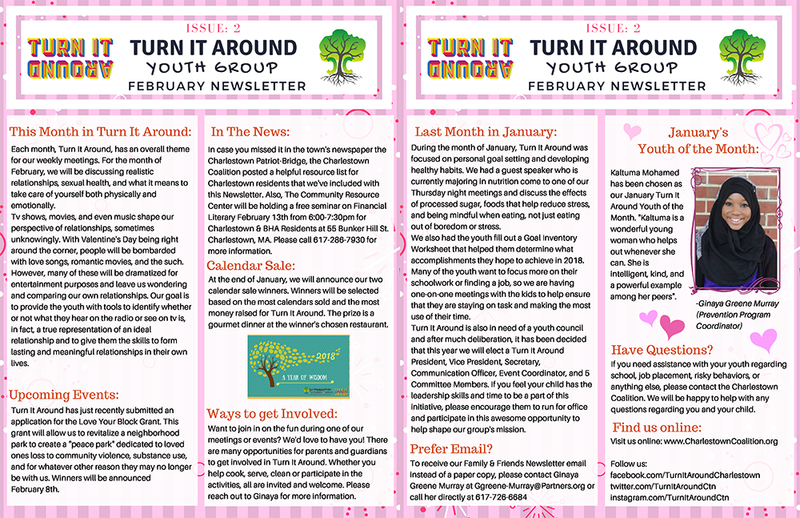 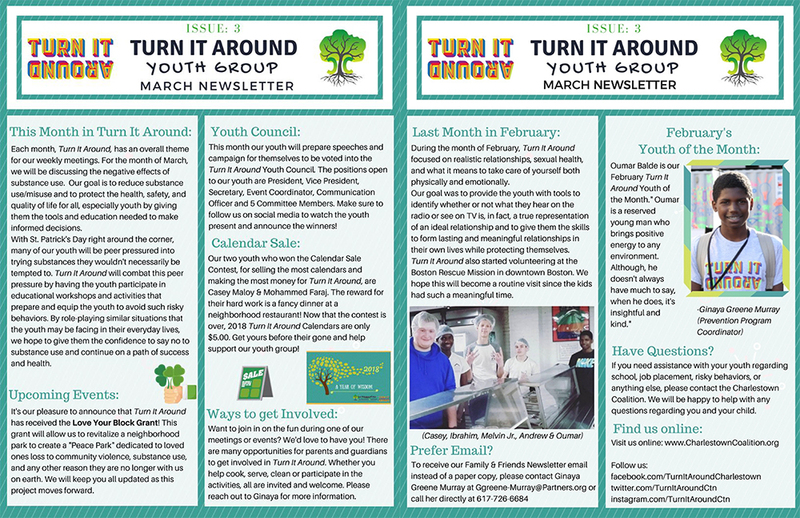 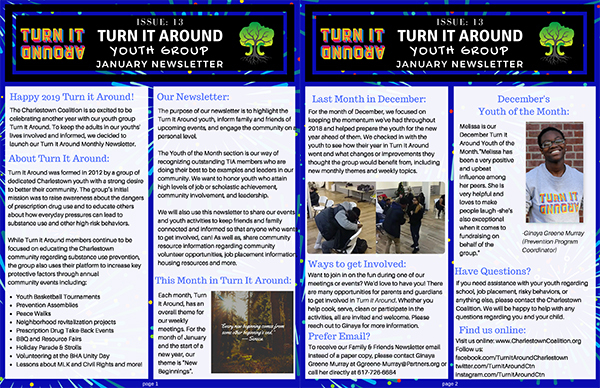 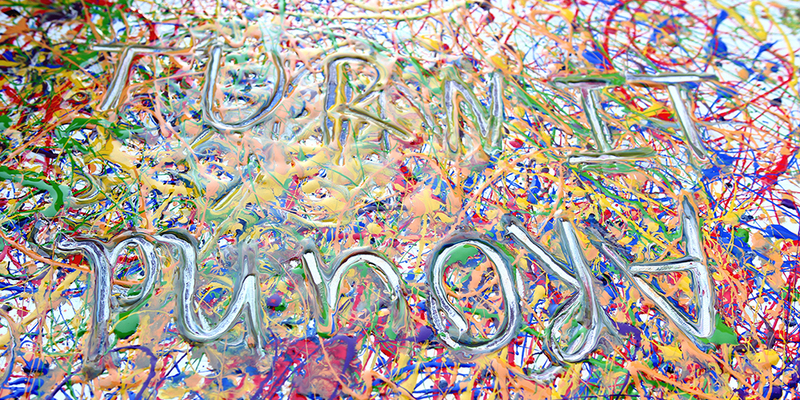 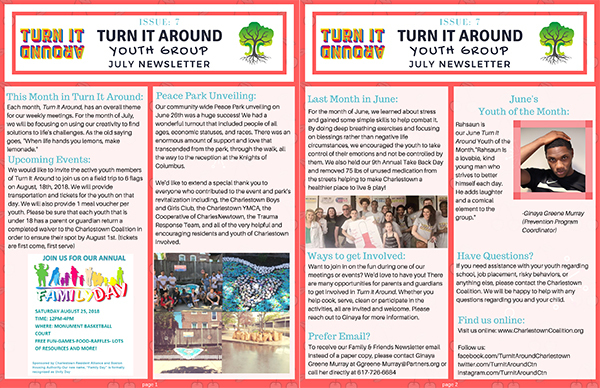 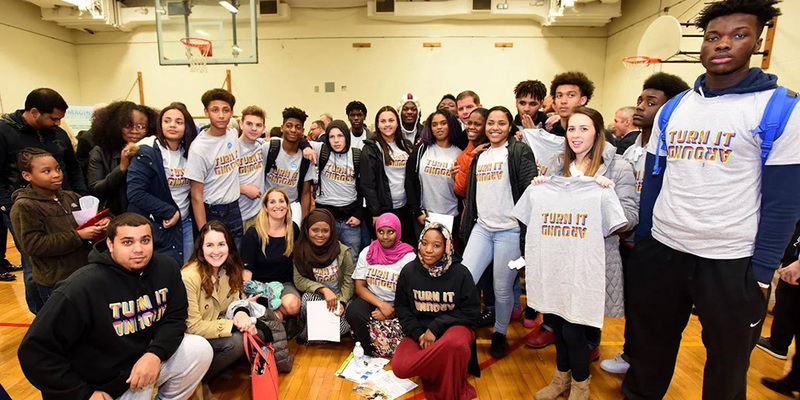 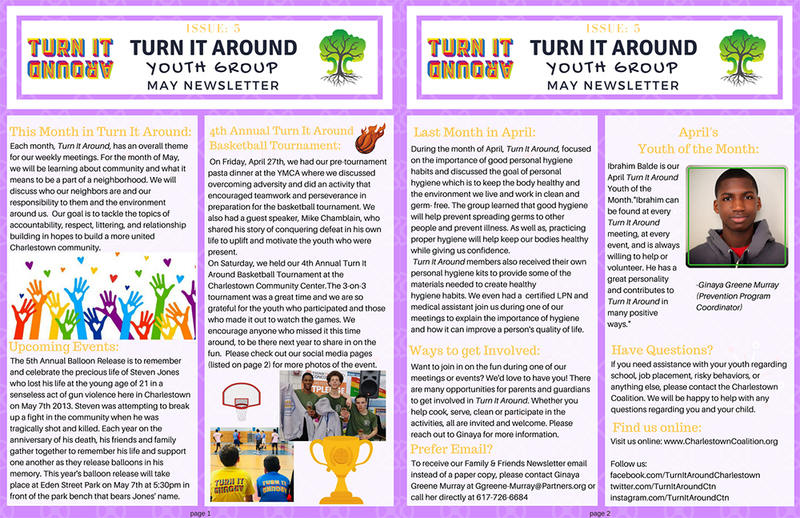 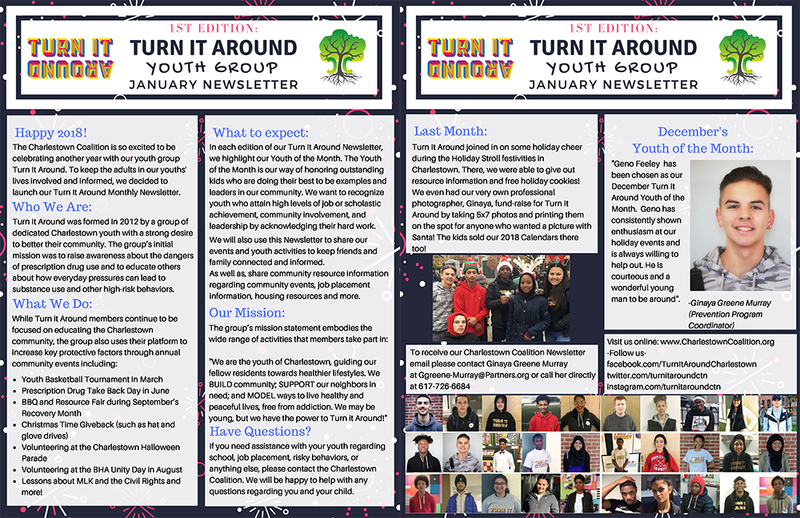 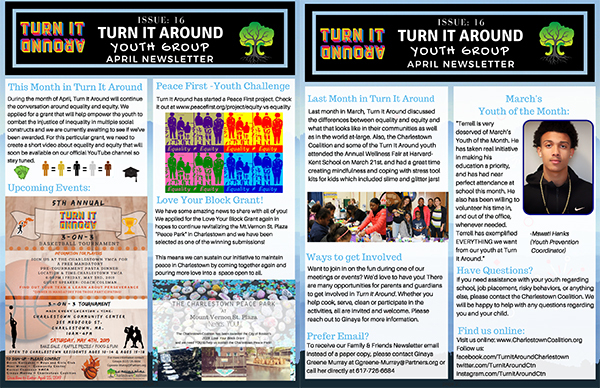 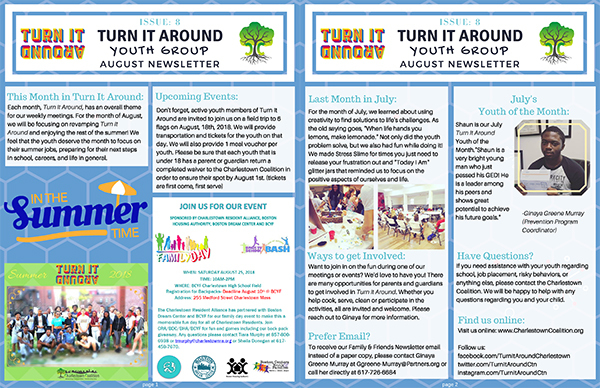 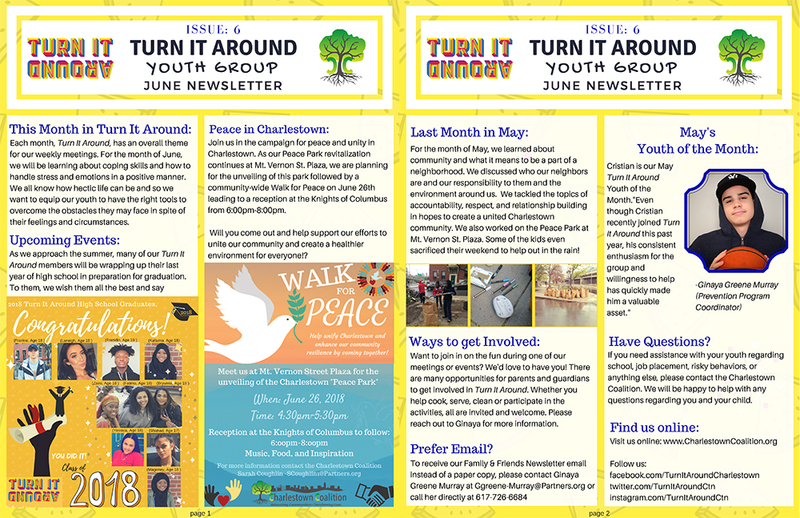 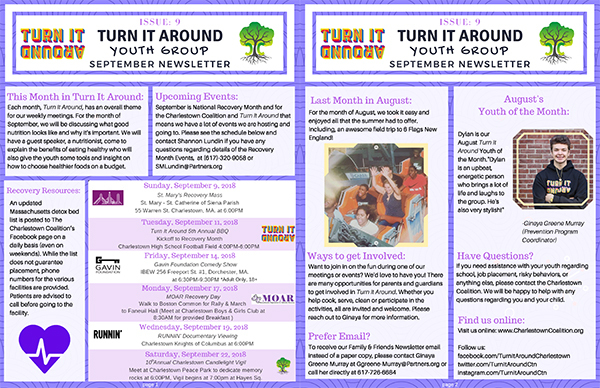 Turn It Around was formed in 2012 by a group of dedicated Charlestown youth with a strong desire to better their community. 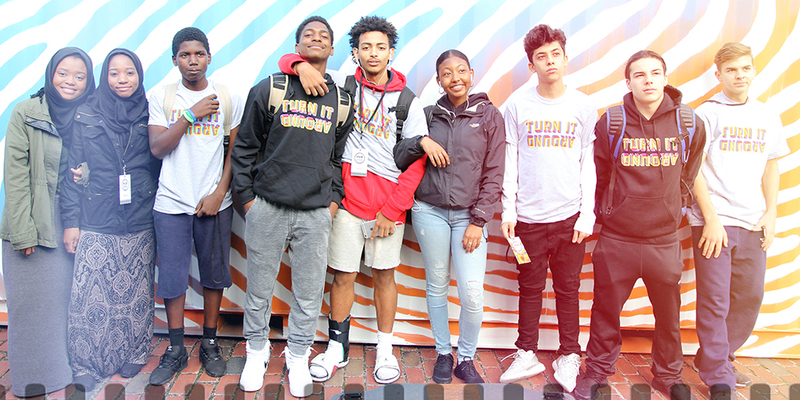 The group’s initial mission was to raise awareness about the dangers of prescription drug misuse and educate about how everyday pressures can lead to substance use and other high risk behaviors. 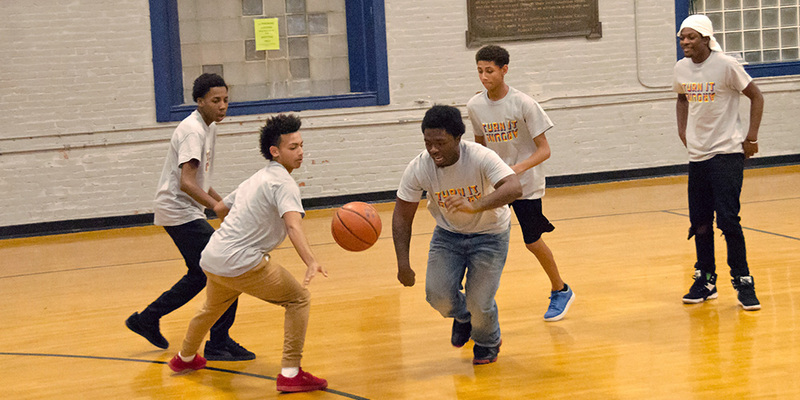 We offer academic support, provide caring and consistent adult figures, and keep members engaged in positive community activities. 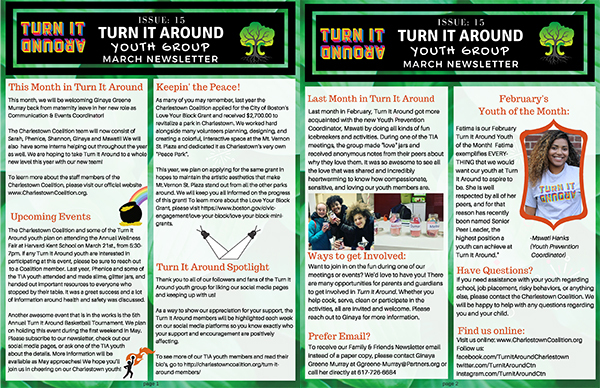 The forty Turn it Around youth are between the ages of 13 and 20 and are divided into four “families,” each led by a Coalition staff member. 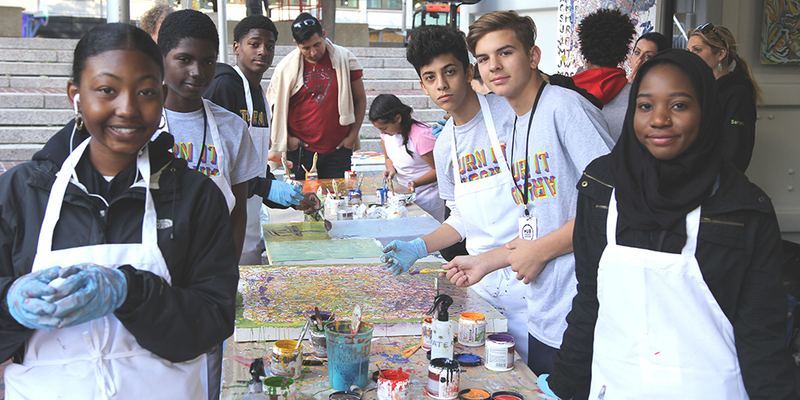 The staff member supports their youth by holding regular check-ins and connecting them to academic and social support services. 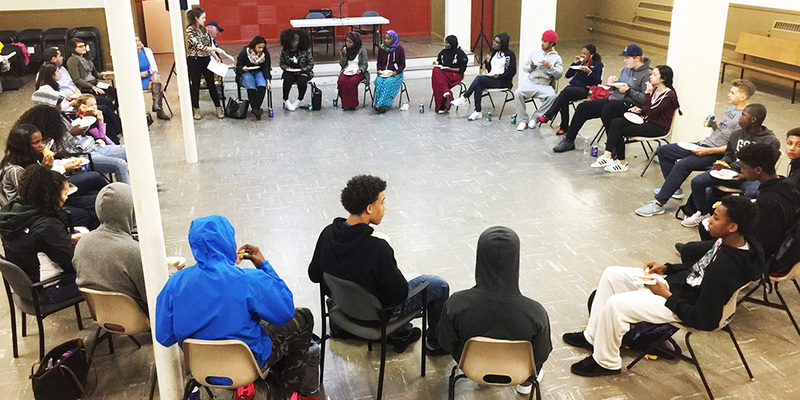 Members gather every Thursday evening and organize a number of community events. 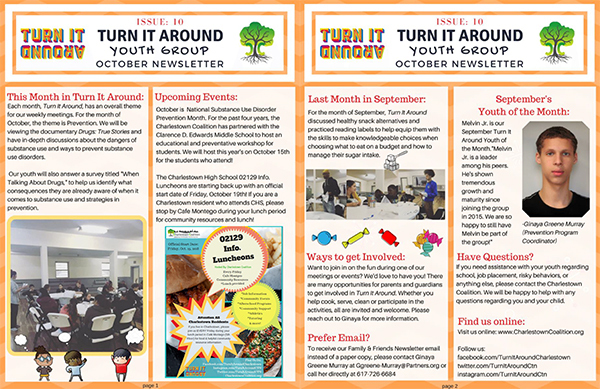 "We are the youth of Charlestown, guiding our fellow residents towards healthier lifestyles. 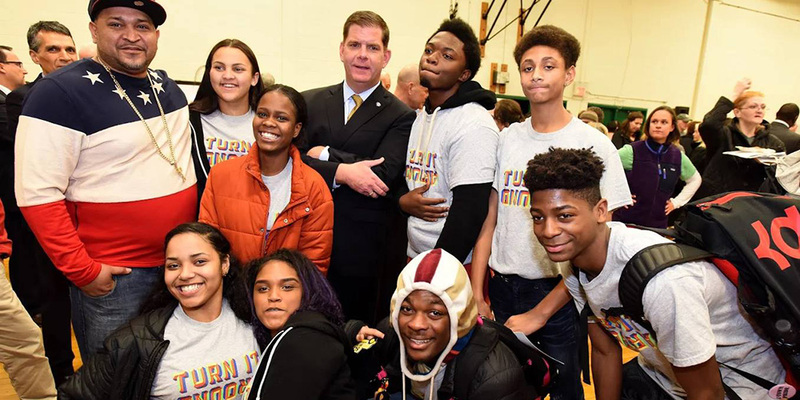 We BUILD community; SUPPORT our neighbors in need; and MODEL ways to live healthy and peaceful lives, free from addiction. 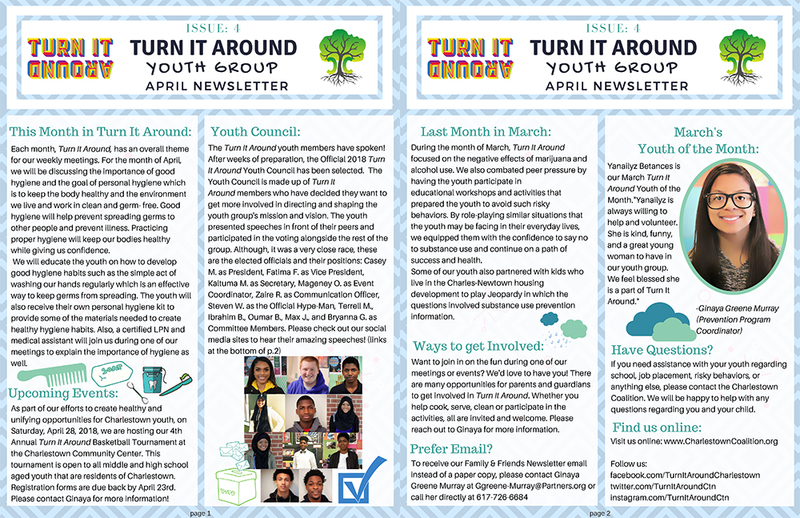 We may be young, but we have the power to Turn it Around!"